Today I’m breaking down the second of five modifiable factors thought to lead to the transformation of episodic to a chronic migraine: Lifestyle factors. (I covered the first factor, obesity, in a recent post: Factors for Migraine Chronification: Obesity). The two major factors are caffeine consumption and sleep. Not only is caffeine consumption in the form of food and drink at issue in the development of a chronic migraine, some prescription and over the counter migraine treatment medications contain caffeine, too, such as Fioricet or Excedrin Migraine. A 2004 study of people with chronic migraines found those people consumed a high level of caffeine when they were experiencing episodic migraine when compared to people whose migraines did not transform into chronic status. However, no association between current level of caffeine consumption and chronic migraine status was observed. High caffeine exposure was defined in this study as using a caffeine-containing medication as the patient’s preferred treatment medication or dietary caffeine consumption matching the 25% of the population consuming the most caffeine. The lesson here is that if you’re someone experiencing episodic migraine who consumes a lot of caffeine, you’d be well advised to cut back. However, if you are a chronic migraineur who consumes a lot of caffeine, cutting back now will probably not reverse the course of your disease. Some people are very sensitive to caffeine, so if you decide to cut back, taper off slowly to avoid withdrawal symptoms. Disordered sleep patterns have been observed as a factor contributing to the development of a chronic migraine. Snoring is known to be a factor associated with the presence of any type of headache disorder. Even after controlling for characteristics of people known to be more likely to snore, a 2003 study found that people with chronic headaches were more likely to be daily snorers than the control group. Unfortunately, the snoring was self-reported, which is not considered the most reliable method of gathering data. Regardless, there is definitely a good reason to think there is a correlation between snoring and transformation to a chronic migraine. 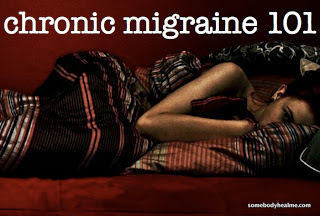 Sleep apnea is also thought to be related to a chronic migraine. The relationship between the two is not clear, but researchers believe it may be related to pressure fluctuations in the head and arteries in people susceptible to migraines. If you think you may snore or have sleep apnea, it’s definitely something to talk to your doctors about and work on changing. CPAP machines provide an effective treatment for sleep apnea and the machines available now and much more comfortable and quiet than they used to be. – What Predicts the Change from Episodic to Chronic Migraine?